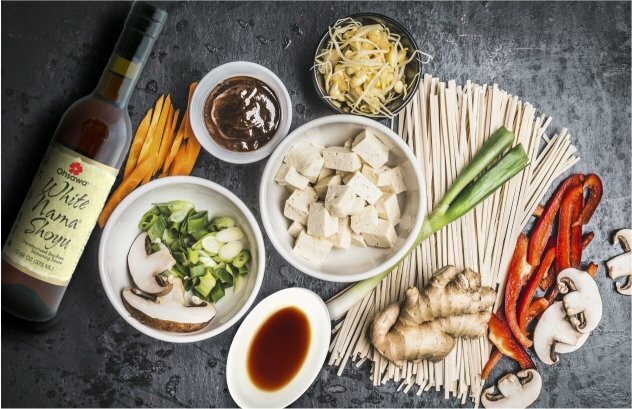 This month, we’re bringing to the table something traditional and flavourful from Japanese cuisine: Ohsawa Organic Condiments, associated with Goldmine Foods, a family business dedicated to the production of healthful good eats. We’re featuring Ohsawa White Nama Shoyu, an unpasteurized wheat-based sauce also known as Golden Tamari, because of its beautiful honey colour. This condiment is a multi-tasker, targeting the savoury-sweet-salty dimensions of the flavours in the foods as you prepare them, enhancing your culinary experience at the table.